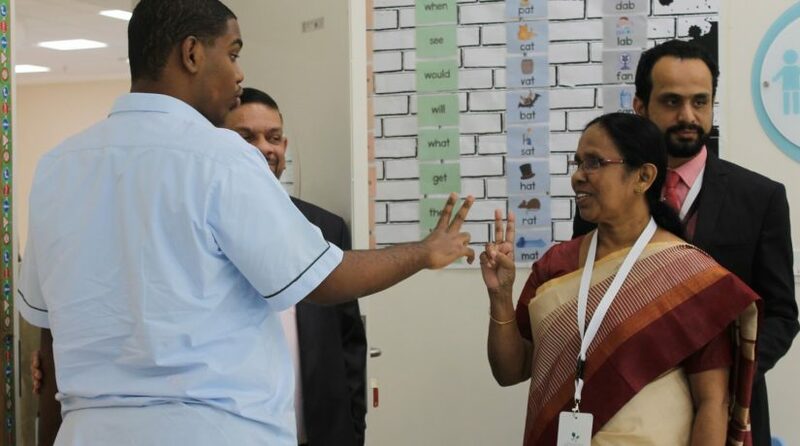 Dubai Autism Center (DAC) welcomed Her Excellency K.K. Shailaja, Kerala Health Minister who expressed her interest to establish Information sharing channel with the Center and participate in the development of services provided to individuals with autism in the Indian state of Kerala. Mohammed Al Emadi, Director General and board member of the Dubai Autism Center, warmly welcomed Her Excellency and showed his keenness for future joint actions in the development of the autism informational networks. “We believe that DAC should have further improvement of general strategies and create permanent communication channels regionally and internationally to share expertise on the services and programs provided to children with autism,” said Al Emadi. The minister toured the various building’s facilities of the Center and spent time with the children while she was being briefed about the services provided to the children with the help of highly qualified teachers and therapists. 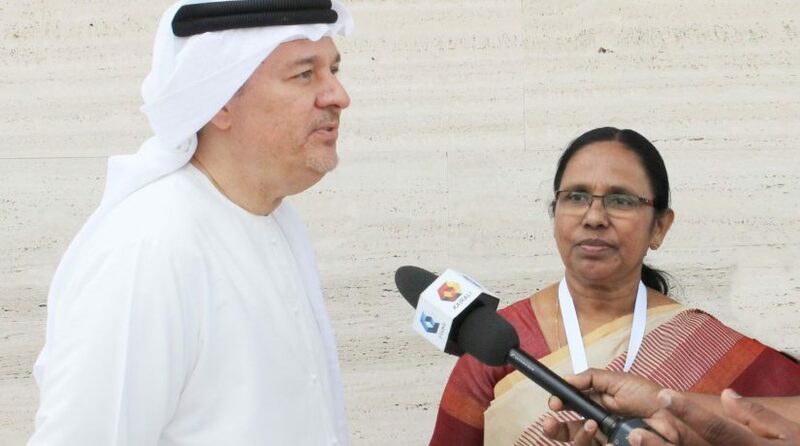 Shailaja praised the leading role of the Dubai Autism Center, noting that the Center has become a vital reference to many autism centers in the world by showing an outstanding role model in the field of autism. At the end of the visit, Shailaja received a copy of the book “Autism Encyclopedia” issued by the Dubai Autism Center in honor of her visit.